In 1953, Van Ballentine brought his bride home to the Estate he had purchased with his father in 1944. Since then, he has meticulously farmed the vineyard named for his wife, Betty. He devotes himself to keeping her view of Betty’s Vineyard, Mt. St. Helena, and Napa Valley, pristine. Betty’s Vineyard is on the site of Ballentine Vineyard’s Napa Valley winery, bordering Highway 29. It lies just North of St. Helena in the heart of the St. Helena appellation. 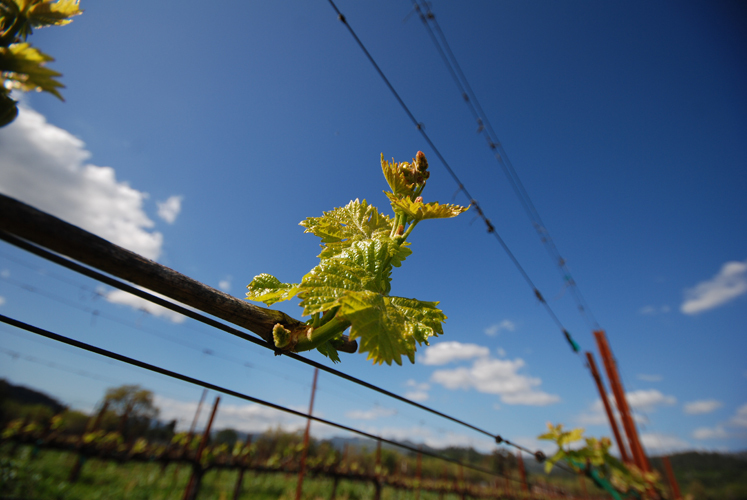 It is the gateway to the the warmer climate of the Calistoga appellation. The soil is Bale clay with moderate drainage, producing expressive wines with and soft textures. Click on the wine above to learn more about the winemaking, vineyard and tasting notes.